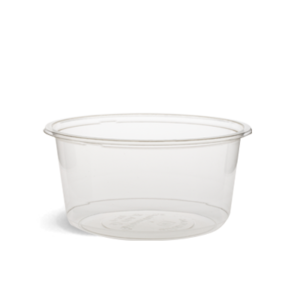 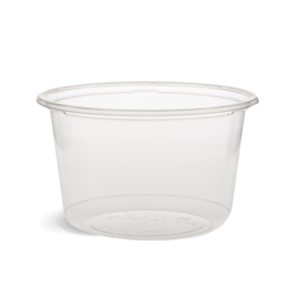 Our clear PLA containers are manufactured from IngeoTM PLA, a polymer made from renewable plant starch resources, not oil. 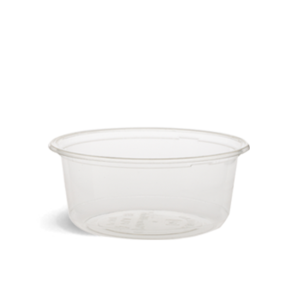 IngeoTM PLA requires 68% fewer fossil fuels resources to produce than traditional plastic. 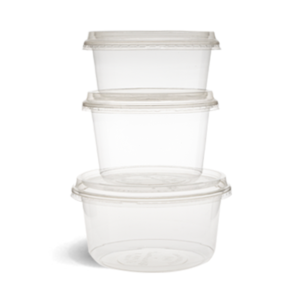 Clear PLA containers are heat sensitive and should only be used for cold and ambient contents.